The grid plan was meant to impose instant order on the landscape, but sometimes the landscape resisted being ordered. Bell Hill in Dunedin was a steep obstacle for traffic along Princes St, so the hill was lowered to enable easier passage. 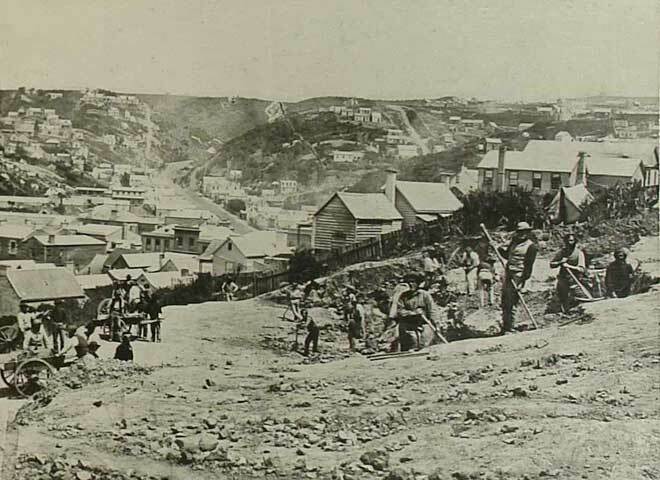 Here workers using picks and shovels excavate the hill.